Did “reforming” Saudi Arabia just off a leading dissident? Can the Saudi regime survive its hotheaded young leader? Jim Rickards first described these warnings here in The 5 four years ago. From time to time, connected financial insiders give each other cues about an impending dislocation in the markets or the economy or both. The warnings come in the form of reports and papers written in very technical language… typically read by only a few dozen expert analysts… and maybe summarized on the back pages of the financial press, buried deep on financial websites. The warning comes from the International Monetary Fund — which just lowered its forecast for global economic growth. Meanwhile, stocks can’t get any traction as Treasury rates remain near seven-year highs. At last check the Dow is down a quarter-percent at 26,424, while the S&P 500 is flat at 2,885 and the Nasdaq is up a third of a percent — arresting a nasty drop in recent days. Treasury yields are backing down, but not much — the 10-year is 3.21%, the 30-year 3.38%. “Blue chips trade lower as higher bond yields continue to impact stock appetite,” sums up MarketWatch. All year we’ve been telling you we’re in the late boom stage of the boom-bust cycle. And since Friday we’ve been telling you the stage is set for one more big stock rally before the market potentially rolls over. Really, it’s an epic profit opportunity — and maybe the last chance to make up for lost time if you’ve missed out on a big chunk of the bull market that goes back to March 2009. Click here for the ultimate “catch-up” strategy. Crude is rallying today — a barrel of West Texas Intermediate just a nickel away from $75 again. A few days ago, we noticed Bloomberg posed the same question we posed here three months ago: Does Saudi Arabia really have the capacity to pump flat-out in case of a major global supply squeeze? The kingdom claims it can pump up to 12.5 million barrels a day. But it’s never actually pumped more than 10.7 million. Doubts about that 12.5 million number are one reason we’re seeing forecasts for West Texas Intermediate to top $85 or even $90 a barrel — levels we haven’t seen in four years. Imagine living in a foreign land. You want to get married and you need to get your paperwork in order. So you go to the consulate of your home country. And then you never come out. That’s what happened last Thursday to a citizen of Saudi Arabia named Jamal Khashoggi. He went into his nation’s consulate in Istanbul, Turkey. His fiancée waited outside. She ended up waiting 11 hours, by which time she knew something was seriously wrong. As we write this morning there’s still no sign of him. 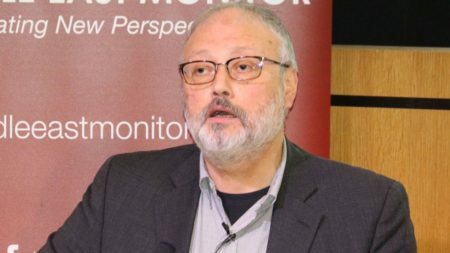 Khashoggi, a journalist who wrote for The Washington Post among other outlets, was tight with the Saudi royal family for many years. But they had a falling out. He’d become a vocal critic. By last year, he felt he had to flee his country. He feared for his life. “Of course they’d like to see me out of the picture,” he told The New Yorker’s Robin Wright two months ago. This huge story was picked up by the foreign press instantly. The Trump-obsessed U.S. media were slower on the uptake. But by yesterday, Trump said he was “concerned” and the journalistic brotherhood began rallying around the cause of their compatriot. The same day Khashoggi disappeared, Trump spoke at a rally in Mississippi. It’s not outrageous to ask the following question: Does the House of Saud have any staying power, even with U.S. military backing? “Reports are growing that Muhammed bin Salman, Saudi Arabia’s hyperactive crown prince, is losing his grip,” writes Daniel Lazare at Consortium News. MBS has carried out an unprecedented charm offensive in the West — even as he carries out acts of unprecedented brutality closer to home. 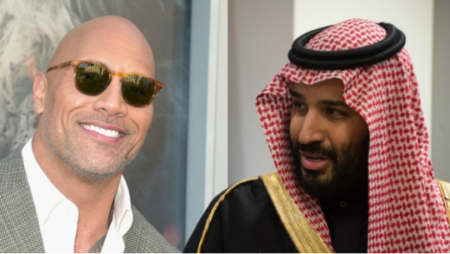 In March, MBS paid a call on the United States — meeting not only with politicos in Washington but with Bill Gates… Facebook’s Mark Zuckerberg… Amazon’s Jeff Bezos… Michael Bloomberg… even Oprah and Dwayne Johnson. Ah yes… MBS, the great reformer. The man who’ll take Saudi Arabia out of the seventh century straight into the 21st. That’s the media-crafted image. Here’s the vicious reality. Usage of the death penalty — almost always by beheading — has stepped up since MBS began consolidating power in 2015. Up to that time, executions numbered fewer than 100 a year. Afterward, they jumped to about 150. Capital offenses include everything from drug use to sorcery. Meanwhile, for all the good publicity MBS got this year for allowing women in Saudi Arabia to drive a car… the regime has at the same time arrested at least 12 of the most vocal activists who pressed for an end to the driving ban. And then there’s the war in Yemen. MBS launched it only two months after becoming defense minister in 2015, figuring it would be a quick-strike affair. Instead, it’s turned into both a quagmire and a potential genocide. Eighteen million people are at the edge of starvation. But both Barack Obama and Donald Trump have stood by MBS the whole time, with the U.S. military giving the Saudi Arabian air force critical refueling and targeting help. The people’s representatives in Congress have had no say in the matter. MBS might well mark the end of the House of Saud, if a long-dead historian of the Muslim world is any guide. Ibn Khaldun lived in North Africa during the 14th century. The aforementioned Daniel Lazare from Consortium News calls him “one of the most remarkable personalities of the late Middle Ages on either side of the Christian-Muslim divide.” He wrote a six-volume history of the world praised by the 20th-century historian Arnold Toynbee. Ibn Khaldun noticed a recurring pattern among the ruling tribes of the Middle East. The first generation, motivated by a strict Islamic faith, fights hard to achieve victory and seize power. The second generation gets fat and happy, resting on its laurels. The third generation squanders it all… and becomes vulnerable to another tribe motivated by a strict Islamic faith that fights hard to achieve victory and seize power. “[T]he life of a dynasty does not as a rule extend beyond three generations,” he wrote. Saudi Arabia was founded by King Ibn Saud in 1932. Since his death in 1953, there’ve been six Saudi kings — each one a son of Ibn Saud. That second generation is getting downright ancient. MBS is the first member of the third generation to wield major power. Assuming the House of Saud falls, what would come next? Of course the regime wouldn’t go down without a fight. Would the oil wells keep pumping? Would the pipelines keep flowing? Would the “Big Three” global producers of Saudi Arabia, the United States and Russia be temporarily reduced to two? Yes, it’s an outlier possibility. But it’s not too soon to start thinking about it. The regime went so far with this arrangement that a congressional inquiry, suppressed until 2016, found a money trail leading almost directly from Saudi Arabia’s U.S. ambassador to a cell of Sept. 11 hijackers. One quick hit of economic data today: The Small Business Optimism Index from the National Federation of Independent Business remains near historic highs. The number pulled back a bit to 107.9, but that’s still the third-strongest reading in the survey’s 45-year history. What’d we say earlier about being in the late boom phase of the boom-bust cycle? “Let’s have some honesty,” a reader writes after Friday’s 5. We’re a bit perplexed. Businesses offer goods or services to prospective customers in exchange for money. The business hopes the prospective customer values the good or service more than the money. Assuming the business and the customer come to terms, both parties feel better off at the conclusion of the transaction. And your problem with that is… what? As we have to point out now and then, subscription fees from readers like you make up the overwhelming source of our revenue. It’s a business model that frees us from the conflicts of interest that afflict free financial websites, conventional financial news media and Wall Street itself. P.S. In just three more days, Wall Street will put aside its worries about interest rates, politics and Fed policy… and focus on earnings. Earnings season will be underway… and Corporate America is likely to continue its best run since 2011. But it also might be the last hurrah for this epic bull market, now nearly 10 years old. Have you missed out on it? Now might be your last chance to make up for lost time. But you need the right strategy. You’ll find the best strategy we know of… right here at this link.